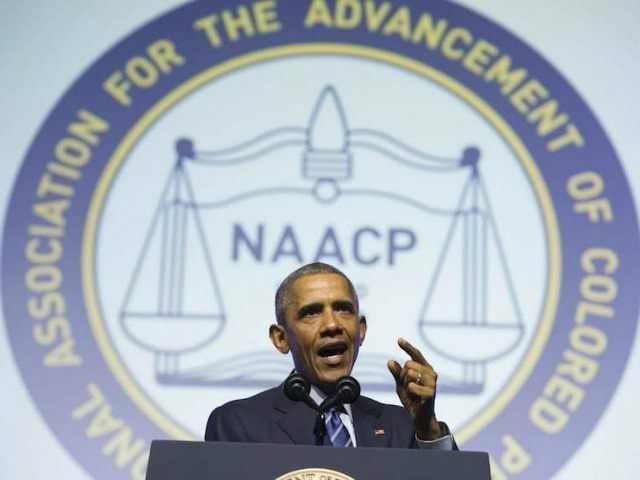 The National Association for the Advancement of Colored People (NAACP) says it’s part of a coalition of leftwing groups planning a second wave of protests and mass civil disobedience scheduled to disrupt Washington, DC later this month. Many of the participating groups are backed by billionaire George Soros. It is the sister movement of Democracy Spring, which is currently in the midst of a 10-day protest march from Philadelphia to DC, with plans for a major escalation in DC on April 11. On that date, the group says it is plotting “one of the largest civil disobedience actions in a generation.” As of this writing, 3,404 activists specifically pledged online to participate in the main civil disobedience event and risk arrest on on April 11 in D.C.
After Democracy Spring begins to wind down, Democracy Awakening plans a second wind of revolutionary energy starting on Saturday, April 16. Robert Weissman, president of Public Citizen, a group that says it champions citizen interests, is a lead organizer of Democracy Awakening. Weissman told Breitbart News in an interview on Tuesday that the Awakening movement’s specific plans for “direct action” are not yet finalized, but he said it will include civil disobedience and activists risking arrest. Groups signed onto Democracy Awakening include a litany of Soros-financed organizations. Those Soros-financed groups include MoveOn, AVAAZ, Campaign for America’s Future, Common Cause, Democracy for America, Democracy 21, Demos, Institute for Policy Studies, People for the American Way, Project Vote, and UHCAN. Weissman’s Public Citizen has also received significant financing from Soros’ Open Society. We are like two wings of the same bird. We’re part of a united mobilization and the two coalitions have very substantial overlap within the organizations and the leaders and we’re taking responsibility for different part so the mobilizations. We are leading the march from Philly to DC and the start of civil disobedience, and they are leading efforts of rally for democracy.